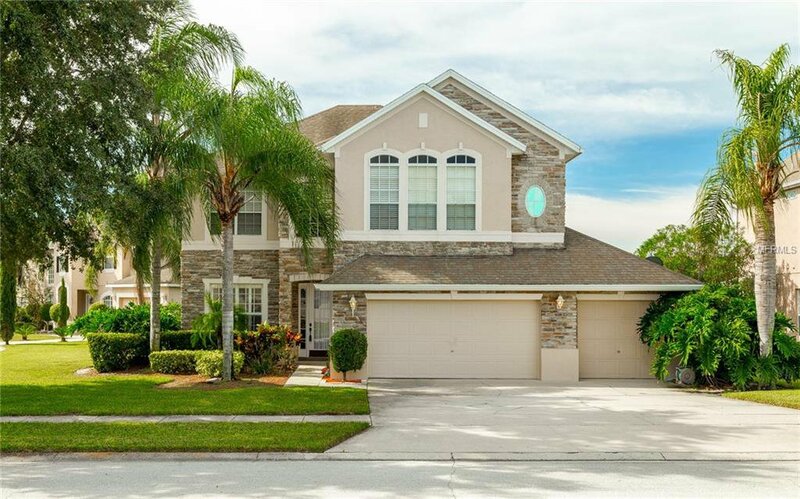 Take a look at this beautiful home that includes a peaceful water view in the sought out community of WILLOWS ON THE LAKE! This home features Four bedrooms, Two full baths & One half bathroom. Beautiful upgraded kitchen cabinets and solid counter tops, overlooking the grand family room. The large master suite is complete with a LARGE walk-in closet and master bath has his/her vanity. A must see to truly appreciate the value of this gorgeous home and community. Willows On The Lake offers residents beautiful nature views filled with ponds and conservation areas and is just minutes from fine dining and shopping! Feel secure knowing you a living a GATED COMMUNITY. Transferable TERMITE BOND available. A/C LESS THAN A YEAR OLD! BRAND NEW Dishwasher, & Pool Vacuum! Listing courtesy of RE/MAX INNOVATION. Selling Office: RE/MAX INNOVATION.